I absolutely love the new baby feeding line that Infantino carries! I wish these products were around when my other kids were little babies. It can be a challenge to transition from breast feeding to solid foods, and buying all those jars of baby food can not only get spendy, but I often think that maybe if I knew exactly what my baby was eating, I could make sure that my baby is eating the healthiest foods. I loved seeing the new line of feeding products from Infantino! The Annabel Karmel products are great for making your own baby food, and preparing foods for your baby simplier and easier. I really like the Stackable pots, because there are a few different sizes and each size is a perfect serving for your little one. 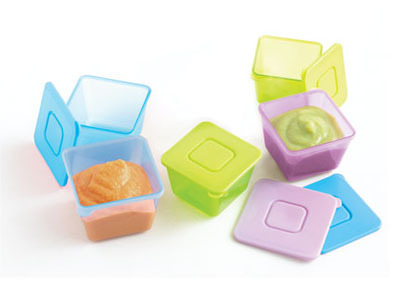 I love the colorful containers for easy food on the go, and to put the container in the diaper bag for later feeding. The Stackable pots come in three different sizes, and they stack together for easy storage. 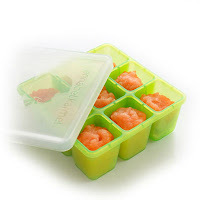 These food pots are freezer safe and microwave safe, which make them very usable! I really like that I am able to store my frozen baby food in these stackable pots and bring the food on the go. While my baby's food is thawing, I am traveling, and then when it is time for eating, my baby's food is easily available. Making my own baby food is a great way to know what my baby is eating. I love that I can make a big portion of food, and then I can fill up the Freeze Tray. Then, when my baby's food is frozen, I can store the food in the Stackable pots, or place into another container. The Freeze tray will hold 9 servings of foods, and I like that each is separated, so I can put many different foods like fruits and vegetables into the Freeze Tray at one time. Each food portion is 1 oz. and is perfect for your baby's appetite. I love that the Freeze tray is dishwasher safe, too! My older kids love the Fill & Freeze pops, even though they were designed for the babies! 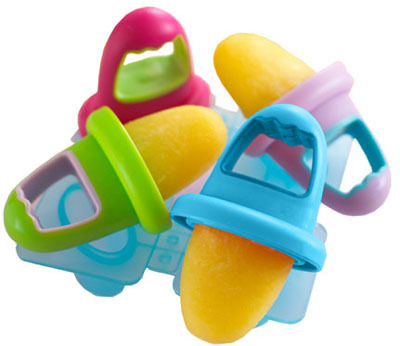 :) The Fill & Freeze Pops are perfect for those aching gums when babies are teething, or for a nice cool summer treat. I love the recipes to make your own fruit pop, naturally good without any chemicals or unknown items. You can make Fruit Frozen pops with just fruit and 100% fruit juice! The Fill & Freeze pops are dishwasher and freezer safe, and there are four different colored pops. Each freeze pop has a handle for easy holding~ perfect for little hands. Infantino carries a great line of baby feeding products! I also love the Fresh Food Mill~ for easy puree and grinding foods for your baby, and the Mash & Serve Bowl for making the fruits and vegetables easier to eat. My little one loves to eat what I eat, and with the Annabel Karmel feeding line, I can eat my food, and show my baby that he is eating what I am eating~ it is just prepared a little different. Annabel Karmel feeding line has made my food preparations easier, and I am happy knowing what my baby is eating. Plus, my baby likes the flavors of the foods, too! Infantino has also launched a brand new website this month! 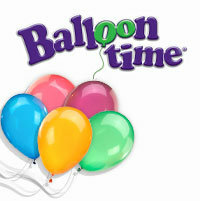 Be sure to check it out at infantino.com . My family loves games, and playing them is such a great family game night. We love the Hasbro games, because not only are they fun...they promote Family Game Nights. I was recently sent the new card game from Hasbro : Trivial Pursuit Steal game. This card game is rather fun, and is a great game for a quick dose of fun. A lot like the board game, Trivial Pursuit, the T.P. Steal card game has the questions on topics: Geography, Entertainment, History, Art & Literature, Science & Nature and Sports & Leisure. Trivial Pursuit Steal consists of two decks of cards. One stack of cards is the trivial questions~ 330 new questions, and one stack is the game cards. Starting off the game, you are dealt 5 cards, and on your turn you will draw a new card. These cards will be a variety of the wedge cards and the action game cards. The wedge cards are designed with the colors of the original Trivial Pursuit. After you draw your new card, you need to decide what color wedge do you want to get. There are 6 color wedges, and in your hand you may have a wild wedge card, to which you can use to get the color you need. 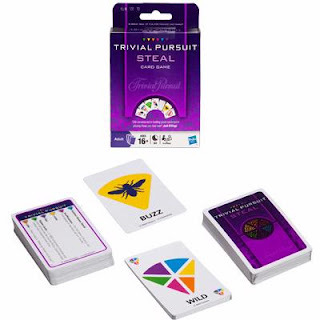 To make the game fair, Trivial Pursuit Steal has a "buzz" card that lays on the table~ and does not go into a player's hand. If you grad the buzzer card you can answer a question that another player got wrong, to get their wedge. However, if you get the question wrong too, you lose a wedge. Either by playing fairly, or by stealing....the first player to get all six colors in wedges, wins. Check out Trivial Pursuit on Facebook! 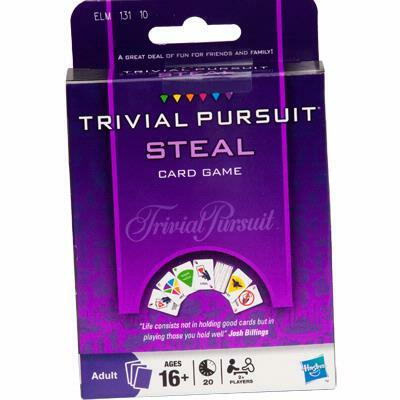 Trivial Pursuit Steal Card Game is just $5.24, and can be purchased in local retail stores or online at places like Amazon.com. This contest is open to bloggers, and non-bloggers of the United States, and will end on October 25th. There will be three winners, and each winner will receive the new Trivial Pursuit Steal Card Game. This review was provided from Hasbro. They have provided me with a Trivial Pursuit Steal card game review and information to share with my readers. I am sponsored to offer three card game giveaways for my readers through this review. I was given the product for my personal opinion and option to share with my readers. I was not compensated for my time or written review. It is so fun when little ones start feeding themselves, and start moving into the "independent" stages of doing things on their own. It can be a very fun experience for the little baby...growing into a toddler, to learn and explore with the world around them. I really like when I come across great feeding products for my little ones. I look for products that are easy for my child to use, sturdy (because the floor can be a long way down from their tray) and products that are not only safe to use (materials made with) but also easy to clean up. Notice how the cup does NOT spill. I have tried so many sippy cups that claim the "no-spill," or "spill-proof" statement, however, I have found very few that actually hold true to that claim. Well, my child states the claim, and proves, that the mOmma Non-Spill cup with straw does not leak. I love the "roly-poly" shape of the cup, which makes my son laugh. I also like how the straw can be shut, hidden underneath the lid, to keep it from getting dirty, or for easy storage in the diaper bag.~NO Leaks! The lid slides shut completely! I also love the that whole mOmma feeding products are BPA and phthalate-free...making them very safe to use with my kids. I am a big promoter of using safe products for my kids. I am really happy that the mOmma line is dishwasher safe, too. When products are made safe to wash in the dish washer, I am an even bigger promoter! Since the cups for the mOmma collection are round-shaped, the mOmma wash is a cleaning brush designed to work specifically with the mOmma line cups. I love the bigger handle on this brush, and the bristles are made very well. I really like that the mOmma line has a brush to fit their cups perfectly, because it is really hard to wash inside of cups, bottles, or any other odd shaped container. The mOmma cups, both the sippy cup and the cup with a straw, are made with two handles, for easy control while drinking. I really like the bottoms of the cups, they have rubber-coated bottoms to help reduce skidding and prevent spills. The mOmma Warm Developmental Meal Set is a great set for a new baby moving into the self-feeding stages. The circular plate is designed to keep the food warm. I like the two sections on the plate, to keep food separate. Included in this set, is a fork and spoon. The fork and spoon have a bulb-shape handle on it, for the little one to be able to grasp onto it easier...better hold. The design of the handle is made to fit even the smallest of hands. This is designed this way so little ones can start to learn how to properly hold an utensil. The utensils' protective cover provides a hygienic case, so it is ready to use when you take it out of your bag. The mOmma feeding products combine innovation and technology to transform mealtime into an opportunity to play and learn. I think that the shapes and design of the mOmma products are fun and inventive. The colors are bright, green and orange, and my little guy loves his non-spill cup! I recommend this feeding line, and give them two thumbs up! You can purchase your mOmma feeding line products are select specialty stores and online at mOmma.com, Amazon.com and diapers.com. You can find mOmma on facebook, too: mOmma's facebook. I was sent a mOmma non-spill cup, mOmma cup with straw, mOmma warm development meal set, and the mOmma wash to review from mOmmaUS.com and Team Mom. I was sent these products and information in exchange for an honest review. I am not compensated for my time or written review. The opinions in this post are of my own and do not reflect on the company. I am not very skilled in the kitchen. I can make meals, follow recipes, and sometimes (but seldom) I can get creative with a dish I make. I wish I could learn how to make amazing meals, desserts, etc. and I always thought it would be fun to take a cooking coarse. 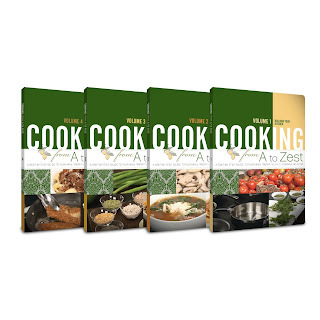 I just got a super DVD set to review called: Cooking from A to Zest and it is a great set of DVD's to learn from and get educated! My husband and I are watching these together, and we are learning so much! I love all the helpful hints, suggestions and ideas that Kierstin Buchner, host on the DVD's, share with the viewer. Cooking is more than just following a recipe. It's being able to confidently walk into a kitchen, assess what's there and whip up something delightful and delicious. With that in mind, Cooking From A to Zest is like having your own private in-home instructor teaching you a foundation of techniques and skills. Watch it like a class, learning as you go, or use the main menu to jump directly to the technique or recipe you want. From how to dice an onion like a pro to roasting the perfect chicken to gaining helpful insight from experts at markets and restaurants, host Kierstin Buchner shares tips for both the beginning and more experienced cook. VOLUME 1 - BUILDING YOUR KITCHEN: Cooking starts with kitchen essentials - such as efficient knife skills, selecting your equipment and stocking your kitchen with staple ingredients. VOLUME 2 - STOCKS, SOUPS, & SAUCES: Learn the building blocks of delicious stocks and broths, unveil the secret to cream soups and purees, then finish with with five key Foundation sauces. VOLUME 3 - SALADS, VEGETABLES, POTATOES, PASTA, GRAINS & LEGUMES: Learn to prepare salad dressings with ease, saute, blanch, and grill your way to flavorsome vegetables, and cook the perfect rice and pasta - every time! VOLUME 4 - EGGS, MEAT, POULTRY & FISH: Discover six classic ways to prepare eggs, then move on to a variety of mouth-watering methods for meat and poultry, including brining, braising and stewing. The first DVD was highly informative. Volume 1: Building your kitchen, went over the essentials that most kitchen shows don't explain. I thought the first DVD was very helpful! Building your kitchen starts you off with the basic necessities your kitchen needs. It went over the different kinds of knifes, how to sharpen them, and what they are designed to cut. Kierstin described the pots and pans you should have in your kitchen and what the pots and pans purpose is designed for. I thought it was very helpful and useful information. Also included in Volume 1 is the staple ingredients you should stock in your kitchen for basic recipes. The other three DVD's went over meal planning and proper meal preparations. I did not know that putting oil into my boiling water was not the correct way to boil pasta! So helpful, and great ideas in these DVD's! I learned a lot about spices and herbs, and how to use them in meals...and which spice/herb went with what type of food. Kierstin shared how to cut and store the herbs, as well. This contest is open to bloggers and non-bloggers of the United States, and the contest is open until midnight October 31st, 2010. To enter, comment here about what some of your favorite ingredients are, or your favorite recipe. 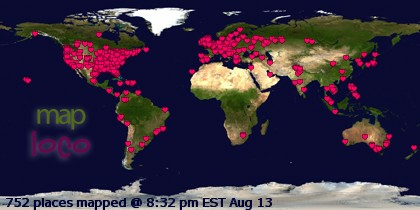 You could also leave a comment about what you have found helpful for working with food, or in the kitchen. 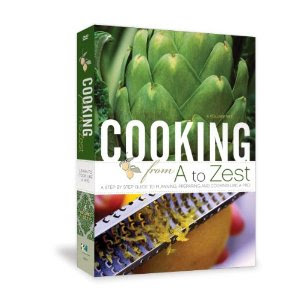 Winner will receive the Cooking from A to Zest DVD collection set (4 DVD's). I will notify winner, and if after 3 days the winner does not respond, I will pick a new winner. This review was provided from Cooking from A to Zest.com. They have provided me with DVD's to review and information to share with my readers. I am sponsored to offer a giveaway for my readers through this review (same DVD set for one winner). I was given the product for my personal opinion and option to share with my readers. I was not compensated for my time or written review. I am home schooling my Kindergartner and my Pre-school aged children this year. It can be a challenge home schooling when 3 of the kids are ages 5 and under. I was very thankful to review for Rock 'N Learn! I really like the DVD's that they sent me. Teaching phonics, sounds of letters, spelling, etc. can be a challenge ~ and a big job! Rock 'N Learn has put together great DVD's that teaches these concepts so great! I was very impressed with these videos. I know that these videos will be very helpful with teaching phonics, and introducing reading to my kids. I think these videos are very educational and very helpful. I recommend these videos! Rock 'N Learn Phonics (volume 1) has short sounds, consonants, blends & diagraphs, word families, silent e, and read-along stories. The DVD is approximately 70 minutes long. You can also visit free-phonics-worksheets.com for printable resources to go with the phonics programs from Rock N' Learn, as well. Rock 'N Learn Phonics (volume 2) has long vowels, vowel combinations, syllables, ending sounds, silent consonants, and read-along stories. The Rock 'N Learn videos are so great for a resource to teach your kids the basics to letters, sounds, and reading readiness. The DVD's have catchy songs and my kids love them. Check out Rock 'N Learn's Facebook page. This contest is open to bloggers and non-bloggers of the United States & Canada, and the contest is open until midnight October 23rd, 2010. To enter, go to the Rock 'n Learn website and check out what they have to offer. Comment here about what you found out and sounded interesting to you. This review was provided from Rock 'N Learn. They have provided me with 2 Phonics DVD's to review and information to share with my readers. I am sponsored to offer a giveaway for my readers through this review (same 2 DVD's for one winner). I was given the product for my personal opinion and option to share with my readers. I was not compensated for my time or written review.